You are looking at an authentic Josh Hader Autograph Baseball Rookie Card. 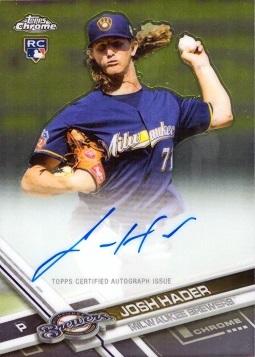 This is a "Topps Certified Autograph Issue", guaranteeing that Josh Hader himself signed this card. In addition, in the upper left corner region of the card you will see the official RC logo, indicating that this is a true Rookie Card.